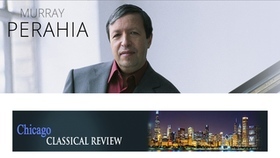 Mr. Perahia has a wide and varied discography. Sony Classical has issued a special boxed set edition of all his recordings including several DVDs entitled The First 40 Years. His recording of Brahms Händel Variations, which won the Grammophone Award in 2011, has been called "one of the most rewarding Brahms recitals currently available." Some of his previous solo recordings feature a 5-CD boxed set of his Chopin recordings, Bach's Partitas Nos. 1, 5, and 6 and Beethoven's Piano Sonatas, opp 14, 26, and 28. 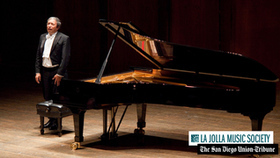 He is the recipient of two Grammy awards, for his recordings of Chopin's complete Etudes and Bach's English Suites Nos. 1, 3, and 6, and numerous Grammy nominations. 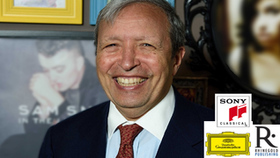 Mr. Perahia has also won several Gramophone Awards. Recently, Mr. Perahia embarked on an ambitious project to edit the complete Beethoven Sonatas for the Henle Urtext Edition. He also produced and edited numerous hours of recordings of recently discovered master classes by the legendary pianist, Alfred Cortot, which resulted in the highly acclaimed Sony CD release, "Alfred Cortot: The Master Classes." 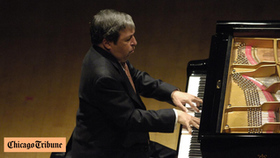 Grammy-winning pianist Murray Perahia stands in the tradition of the great keyboard virtuosi as an artist armed with consummate technical skills and boundless imagination. 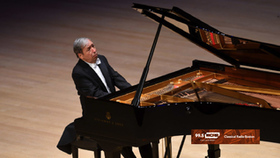 After years of studying the original manuscripts, working sketches and editions published during the Beethoven's lifetime, and having edited the new Henle Urtext edition of The Complete Beethoven Piano Sonatas, Perahia records two sonatas for the first time in his career, Op. 106 (Hammerklavier) & Op. 27/2 (Moonlight). This week in the Classic FM Chart, 'The Glorious Garden' has managed to hold onto its No. 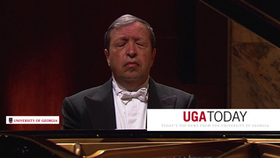 1 spot from last week - and Murray Perahia jumps up 20 places with his Beethoven Piano Sonatas! The Classic FM Chart sees Alan Titchmarsh and Debbie Wiseman holding the No. 1 spot, with their brand-new album of original poetry and symphonic music. And it's good news for Andre Rieu with his album Amore, which stays strong at No. 2. The only change in this week's top five sees Einaudi's Islands and Sheku Kanneh-Mason's Inspiration switching places at No. 3 and No. 4 respectively. At No. 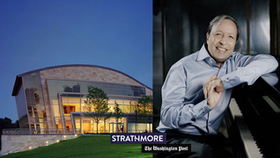 6, Murray Perahia has leapt up a huge 20 places with his album of Beethoven Piano Sonatas, while Sing Me Home by Yo-Yo Ma and the Silk Road Ensemble has also leapt up seven places from No. 14 to No. 7. 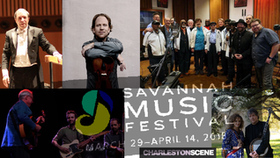 There are only two new entries this week: Language of the Heart by the Santiago Quartet at No. 9, and The Complete Recitals on Warner Classics by Christa Ludwig at No. 12. However, the bottom end of the chart sees a number of re-entries, including Ramin Djawadi's soundtrack to Game of Thrones Season 7, Karl Jenkins' The Armed Man, and two albums from Ludovico Einaudi. It has taken Murray Perahia 40 years to feel he is ready to record Beethoven's "Hammerklavier" Piano Sonata, Op.106. Toying with the sonata in his mid-20s apparently convinced him it needed greater maturity. Having now turned 70, he has certainly allowed it that. Perhaps inevitably, this majestic performance feels like something of an artistic summation. It is cast on an opulent scale. When Beethoven wrote the "Hammerklavier" exactly 200 years ago, in 1818, he is known to have been yearning for a piano that went beyond any instrument known at the time. 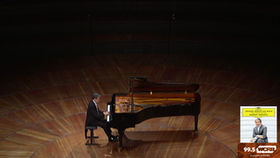 In this performance one can imagine Perahia sitting at a modern grand in one of today's largest concert halls, as he rolls forth playing of sonic splendour, almost like a piano transcription of a Beethoven symphony. The contrasting elements of the sonata are held together in a kind of Olympian equilibrium. The performance is neither especially fast, nor slow. It has fire and urgency, but also introspection, of a deep-toned, rather public kind. There are so many ways to play this all-embracing work that none is likely to please everybody. 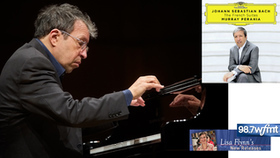 Those who want the pianist to be taken to the limit might prefer a young firebrand (Igor Levit reached a pitch of intensity in his recent Beethoven cycle at Wigmore Hall) whereas Perahia stays magisterially in command. His is a lofty "Hammerklavier", and none the worse for that. He has coupled it with a favourite earlier sonata, the "Moonlight", Op.27 No.2, which is played with hardly less fullness of tone, colour or breadth of imagination. 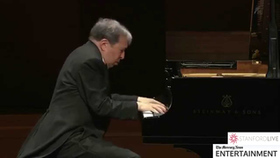 With the most challenging of all Beethoven sonatas out of the way, maybe Perahia will now give us more. The program was characteristically conservative: Bach, Schubert and Beethoven. The playing was responsive to every marking in the scores. The interpretations were as finely reasoned as that of any great artist who has reached the age of 70. If there was any falling short - the admiring audience apparently heard none - it was owing to the nature of the piece that closed the afternoon, an unruly monument so large that no matter the extent of a performer's effort the work always seems to demand more. Beethoven's Piano Sonata No. 29, called the "Hammerklavier," is the composer's longest and most complex and elusive piece for a solo instrument. The speed at which its first and third movements are to be played is still, almost 200 years after their completion, a matter of dispute. Its outbursts of passion, playfulness, grief and wildness remain both physically difficult to perform and emotionally resistant to attempts at easy reconciliation. 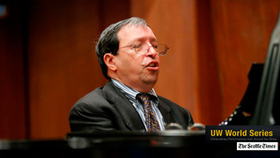 Wisely, Perahia offered no encores after the "Hammerklavier." 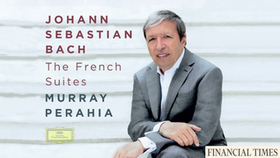 Murray Perahia - Bach 'French Suites' makes WCRB: CD of the Week... of the Year! The American pianist joins the renowned Deutsche Grammophon record label, embarking on a set of works formative to his decorated career. 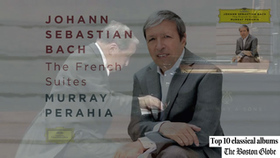 Well into the fifth decade of his illustrious career, pianist Murray Perahia joins the esteemed Deutsche Grammophon record label, beginning with a vivacious performance of Bach's six French Suites. 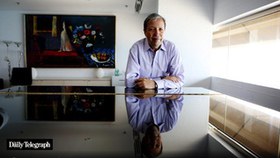 Having shaped a large part of his musical upbringing, Perahia finds Bach's music representative of the full extent of human emotion and expression. 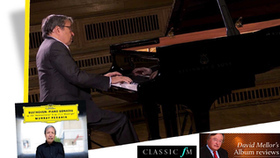 Murray Perahia joins the esteemed Deutsche Grammophon record label, beginning with a vivacious performance of Bach's six French Suites is the WCRB: Boston CD of the Week for Nov. 28 2016. 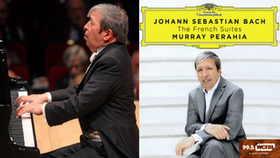 A longtime proponent of Bach on the modern piano, Murray Perahia has been hailed as one of the composer's "most rewarding interpreters both live and on disc" (New York Times). For his debut recording on Deutsche Grammophon, Perahia turns to the six French Suites – works that are at once delicate, profound, tender and joyful, and all suffused with the rhythmic vitality of the dance. 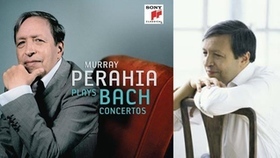 Bach: French Suite No 4 in E-flat major, BWV 815 (16:02) Murray Perahia, piano from Murray Perahia: Bach's French Suites Deutsche Grammophon is todays ( Mon. Oct. 17 ) WFMT: Chicago - Featured Release. 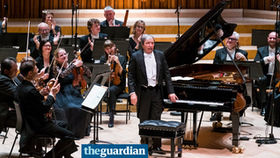 As pianists go, Murray Perahia is not one to often stray from his comfort zone. Throughout his four-decade career his bread and butter has been the music of Bach, Haydn, Mozart, Beethoven, Schubert, Schumann, and Chopin, with occasionally forays into later 19th century Romanticism. One might even label his recitals predictable, if you expect unerringly perceptive and idiomatic readings of the core repertoire to be a given. Sunday - March 22, at Orchestra Hall, the pianist's accounts of staples by four of these masters was, as expected, fluid and penetrating, beginning with an uncommonly glowing account of Bach's French Suite No. 6. The eight baroque dance movements were precisely etched, yet still moulded with an exquisitely nuanced rubato that gave shape to nearly every utterance, whether melody or figuration. One might expect formal contours or forward momentum to be compromised, but the pianist held all of these elements in exquisite balance. READ THE FULL Chicago Classical Review. 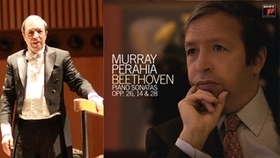 "As with all of Murray Perahia's recordings, there is hardly a note out of place: The passagework is clean, the articulation crisp, the tone light and bouncy, the dynamics restrained, and the reverence for the composer always present. In the solo concertos in particular there is some very beautiful playing when the pianist's technical accomplishment is paired with his good taste and musical insight. This makes for some very enjoyable listening in, for example, the jubilant opening movement of the A-Major Concerto, the more stern and serious Adagio in the D-Minor Concerto, and the hauntingly stunning Largo of the F Minor. There are moments, however, that lack energy and are fussy in their concentration on certain details; the lastmovement of the A-Major Concerto and the opening movement of the E-Major Concerto are two examples. Moving on, the Fifth Brandenburg Concerto is one of the highlights of the set. The pianist, along with his two fine partners, violinist Kenneth Silloto and flutist Jaime Martin, play this as true chamber music. Though the opening movement is taken a bit on the slow side for my taste, the musicians shape it so well that this never is allowed to inhibit the flow of the movement. 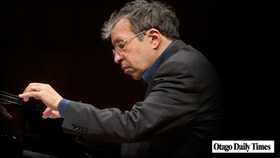 The cadenza sees Perahia at his most flamboyant-he truly lets go-as excited to romp through the cadenza as any pianist I've heard." 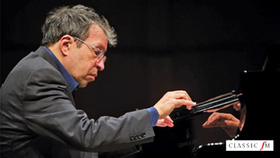 After a long and successful period devoted to J. S. Bach, Grammy winning pianist Murray Perahia shifts his attention back to Brahms for the first time in twenty years. The new Sony Classical recording finds a perfect link between the music of Bach and the Romantic period in Brahms's Handel Variations. This early work manages to span the two eras, with a theme that is solidly Baroque but treated in a deeply Romantic style. 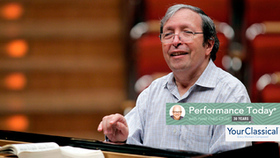 It was toward the end of the 1990s that Perahia's work on Handel set him on the road to Bach. His many Bach recordings – including the Goldberg Variations, the Keyboard concertos, the English Suites and Partitas– garnered enthusiastic reviews and countless international awards. 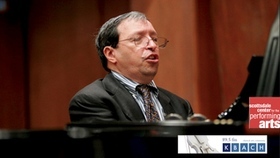 Perahia feels the Handel Variations reflect strong similarities to Bach's Goldberg Variations: both are gigantic works conceived with immense vision and the variations adhere closely to the thematic material and paired groupings, typically employed by Bach. In this recording, the Handel Variations also represent the meeting of three great musical minds: Handel is heard anew, but within the Romantic brush-stoke of Brahms, performed by a master pianist who is at the height of his musical powers. Also on the new recording are key works from Brahms' middle and late piano periods. The Two Rhapsodies, op.79 from his middle period, form the centerpiece of the album and are deeply Romantic. The recording finishes with the introspective and autumnal Piano Pieces opp.118 and 119, both from Brahms' late period. 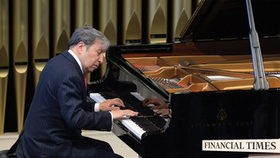 In the more than 35 years he has been performing on the concert stage, Murray Perahia has become one of the most sought-after and cherished pianists of our time, performing in all of the major international music centers and with every leading orchestra. He is the Principal Guest Conductor of the Academy of St. Martin in the Fields, with whom he has toured as conductor and pianist throughout the United States, Europe, Japan, and South East Asia. 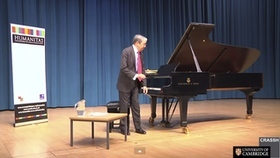 Murray Perahia is an honorary fellow of the Royal College of Music and the Royal Academy of Music, and he holds honorary doctorates from Leeds University and Duke University. In 2004, he was awarded an honorary KBE by Her Majesty The Queen, in recognition of his outstanding service to music. 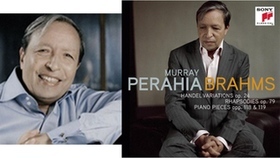 Murray Perahia is an exclusive Sony Classical recording artist for almost 40 years. 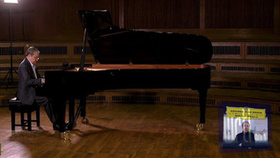 His longtime affinity for the music of Bach is reflected in his discography, which features critically acclaimed performances of the solo Keyboard Concerti, the Goldberg Variations, and English Suites and all six Partitas. These previous Bach recordings have garnered a Grammy Award, several Grammy nominations, a Gramophone Award for Best Instrumental Recording, and Top 10 Billboard Classical Chart positions. He is also the recipient of a Grammy award for his recording of Frederic Chopin's complete Etudes, Op. 10 and Op. 25. 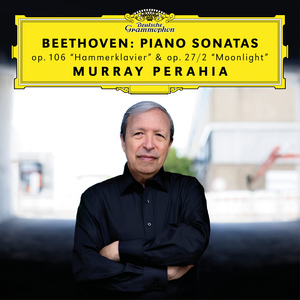 The illustrious pianist Murray Perahia, long regarded for his peerless interpretations of music by the classic Viennese composers, turns his attention to four Beethoven sonatas in his latest release from Sony Classical. With four-star reviews from The London Times and The Guardian,* Perahia triumphs in this recording through an elegant, engaging sense of Beethoven's musical forms. 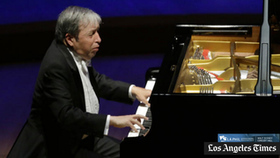 Perahia's new recording features Piano Sonata No. 12 in A-flat major (Op. 26); two earlier sonatas, No. 9 in E major (Op. 14, No. 1) and No. 10 in G major (Op. 14, No. 2); and Sonata No. 15 in D major (Op. 28, "Pastorale"). Following hot on the heels of last year's critical and commercial success, Bach Partitas No. 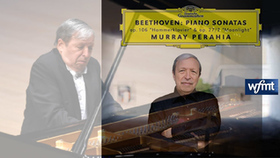 2,3, & 4, pianist Murray Perahia returns with another album of superb, inspired playing, Beethoven Piano Sonatas, Opp. 26, 14 & 28. By means of his artistic imagination and technical prowess, he has turned what seems on paper to be a modest program of "minor" sonatas into a major artistic event. With his honeyed tone and clarity of touch, Perahia gives new life to these tiny gems in the formidable sonata repertory. This is only Perahia's third full-length recording of Beethoven sonatas in thirty years, and his command of the music comes from an understanding of Bach's influence upon the later composer. As he told The Daily Telegraph in March 2008, "Composers took Bach as their bedrock, whether it be Beethoven, Mozart, Schumann, or Chopin." 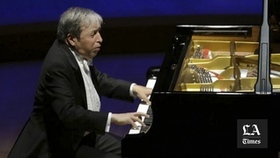 Where other pianists emphasize the nascent, tumultuous Romanticism in Beethoven's music, Perahia plays the sonatas with a poise and elegance reminiscent of Bach's keyboard works. 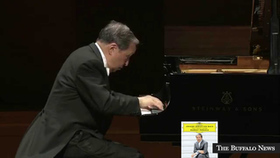 Perahia's observation that Beethoven's sonatas are about "emotions and intellect working together" reflects a balance of ideals that is perfectly captured in this recording. 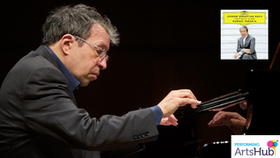 *Andrew Clements for The Guardian: "It's typical of Perahia's discriminating, selfless approach to music-making that he should be able to assemble a sequence of four of the lesser-known early sonatas and make it so enthralling....The two sonatas of Op. 14 in E and G are full of wonderfully deft articulation and perfectly scaled expressiveness - not a note seems out of place." *Hugh Canning for The London Times: "[These sonatas] are often dismissed as lightweight and uncharacteristic, but Perahia begs to differ. The range of tone he brings to all of this music has an almost orchestral weight and transparency...Perahia's singing tone and shapely phrasing are a joy - even works recorded as frequently as these sound new-minted in his hands."